ELLISTRA is a happiness and performance coach at work. She helps employees develop their soft skills thanks to the power of neuroscience. Being our best selves at all times is hard because our subconscious automatic brain (our Little Monster) influences our behaviour in a way that does not always serve our best interests. It is the one telling us: Let‘s put this task off! This problem is unsolvable! Thanks to an intuitive chat bot, easy-to-grasp metaphors and hundreds of delightful illustrations, ELLISTRA helps you apply powerful scientific concepts in your day-to-day working life. It’s like having a 1-on-1 coaching session with a real coach! 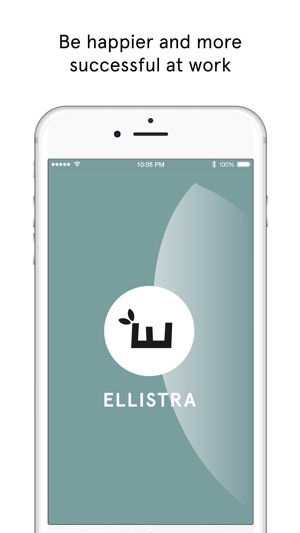 ELLISTRA asks you a series of questions to know how you feel and what specific challenge you are facing. Then, she helps you understand what is happening in your brain and why your behaviour is not optimal. ELLISTRA gives you access to a series of powerful strategies to help you overcome your specific challenge. For the very first time, you learn how to tame your Little Monster, as well as others’ one! 3 – MONITOR AND CELEBRATE YOUR PROGRESS! 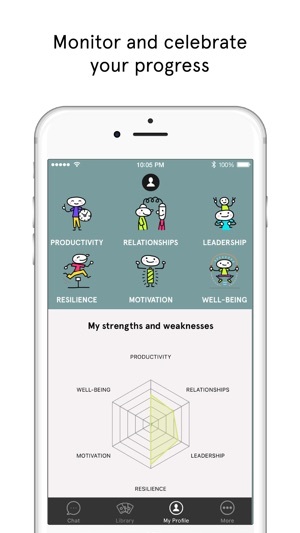 Since there is less progress without tracking, ELLISTRA helps you monitor and celebrate your progress at the challenge level (e.g., combat procrastination, eat healthier, overcome my overload with a cool head). We keep improving the coaching experience to make it even more intuitive and personalised! You will also have access to new coaching topics and new tactics. Excellent idea! Very usefull and inovated! 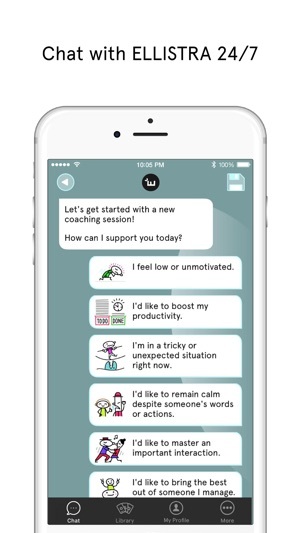 This app has so many tactics and tips to improve soft-skills. It truly helps me in my daily life and for my work. I recommend it! 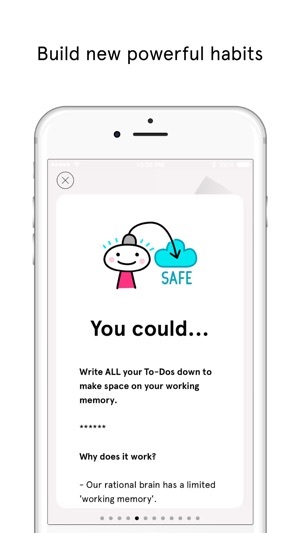 This app is helping me so much in my day to day working life. And the illustrations make it fun. I recommend it!